RE/MAX agents are the most productive in the industry and deliver the real estate knowledge and service people need in Greater Arkansas. 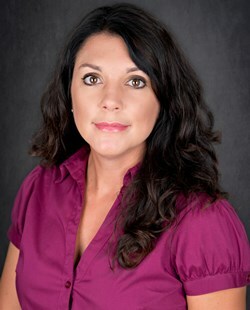 Let Andrea help you with your real estate needs in the Greater Arkansas area. Bought a home in 2019 in Lena, Benton, AR 72015. Andrea was fantastic, she made the homebuying process a breeze, especially since it was my first home. She’s just like a member of the family! She was willing to meet with me and see any house I wanted to visit, and she walked me through the process of purchasing step by step. Bought and sold a Single Family home in 2018 for approximately $200K in Bryant, AR. After meeting with several realtors I chose Andrea to list my house. She is knowledgeable, sweet, sincerely caring, honest, and trustworthy. She made a very stressful situation much easier. She also assisted me in purchasing a new home and was absolutely wonderful during that process as well. She helped me to sell my home at a fair and realistic price and then find a perfect new home in my price range in a great neighborhood. I highly recommend Andrea to anyone looking for a great realtor. Bought a Single Family home in 2017 for approximately $150K in Benton, AR. Andrea was incredibly knowledgable and helpful while working with her. We bought our first home with her, and she made it very easy and stress-free. She is kind and understanding. She went out of her way for us numerous times. I highly recommend her to anyone. Bought a home in 2017 in Lena, Benton, AR 72015. We were looking for our first home and could not ask for a better real estate agent. Andrea was always accessible and accommodating to our hectic schedule. Something that we noticed throughout this home buying process from Andrea is that she has great patience and her communication was always prompt and professional. Being first time home buyers we were a little uneasy about making such a big decision. There were moments that could have turned very stressful very quickly for us but she was always there to keep us calm and on a positive note. If we ever happen to be back on the market for any real estate needs we will not hesitate to contact Andrea to help us out. With that being said we will highly recommend her to anyone in the market for a property. Sold a home in 2017 in Springhill, Benton, AR 72019. My wife and I decided to sell a beautiful five acre parcel of land that we had purchased to build our dream home on. Due to family illness and early retirement we decided to purchase a pre-existing home and put the acreage on the market. Essentially it was at that point our investment property. Mrs. Andrea Morehead at Re/Max Elite in Bryant, AR came highly recommended and provided expert knowledge of the market. If not for Mrs. Morehead, we would have foolishly listed the property at a much lower value than the optimal true market value. She provided excellent communication throughout the entire time the property was listed. We highly recommend Andrea and RE/MAX Elite and will certainly use her again should we ever need a realtor in the future. We thank God for this wonderful realtor HE placed into our lives and the exceptional integrity she displayed. Sold a Single Family home in 2017 for approximately $275K in Benton, AR. I used a different realtor for 4 months before moving to Andrea for the 2017 sale of my home. She has tremendous knowledge of the market and made recommendations that led to an offer within 2 weeks. She was professional and responsive to our needs- including quick feedback from showings. I HIGHLY recommend using her. Bought and sold a Single Family home in 2017 for approximately $125K in Benton, AR. I would highly recommend Andrea Moorehead for buying and selling your home. She was very professionally and always reachable. She helped us sell our home in a timely manner and always went to bat for us, even when their were hiccups in the road. She also found us our dream home. It was a pleasure to work with her and I would recommend her to anyone I know. Bought a Single Family home in 2017 for approximately $175K in Benton, AR. I "chose" to use Andrea from what a co-worker advised me. She isn't pushy or a "sales-person". I knew what I wanted and I didn't want to be pushed into things I was not interested in. To tell the truth, it was a perfect match because Andrea fit that bill. She was accommodating, honestly voiced any concerns she may have had, yet patient and completely understanding of the little wants and supposed needs that a new buyer may experience. She went out of her way to make sure she was available on our schedules, answered all our crazy questions and still had that big beautiful smile the whole time. Most importantly, we weren't from, nor had we very much experience in the Benton/Bryant area. But this lady gave us our first dose of what this place is about: a true down home experience filled with friendship, being neighborly and being a part of somewhere positive and productive. If you're new to this area and want someone who is truly interested in your needs, this lady is your best bet. Bought a Single Family home in 2017 for approximately $250K in Benton, AR. Andrea took what was previously a scary and frustrating experience and made it understandable and smooth. She was incredibly responsive and helpful in the face of some difficulties with the listing agent. I would highly recommend her to anyone in Saline County or nearby, and I hope to use her in the future to sell my old house as well. Sold a Single Family home in 2017 for approximately $250K in Benton, AR. Very professional and efficient. Sold our home in 1 day! Helped us in every step and was very resourceful when it came to repairs. She is honest, and a great realtor. Highly recommend her!